Director Ava Duvernay smartly avoids the usual obstacles filmmakers have encountered when bringing the life of Martin Luther King, Jr. to the screen. Selma avoids all the pitfalls of the traditional biopic by instead focusing on a particularly reprehensible flashpoint in the American Civil Rights struggle, the events surrounding March 7, 1965, "Bloody Sunday," and how they ultimately led to the passing of the 1965 Voting Rights Act. By homing in on this historical moment, Duvernay is able to give us a snapshot of the era, put us in the shoes of African American activists, the Southern whites hanging on to their fading power structure, even the President himself, Lyndon B. Johnson (Tom Wilkinson). 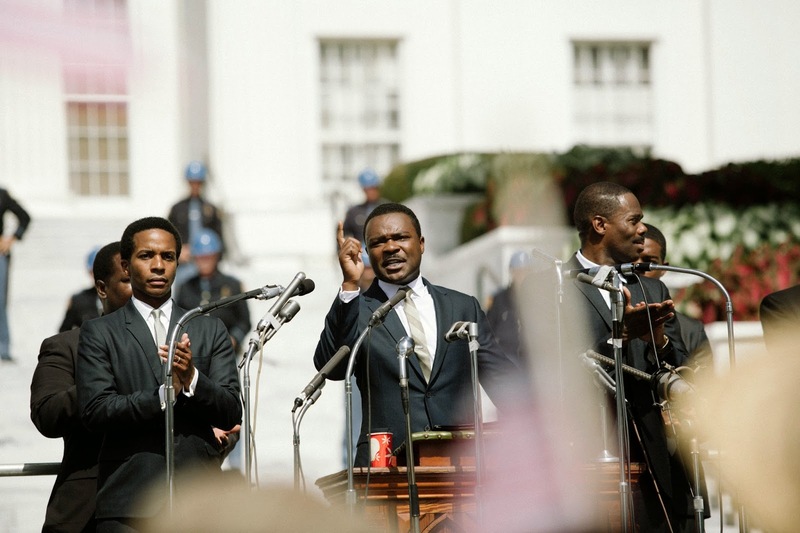 In Selma, Duvernay has crafted a singular cinematic experience that stands alone among those attempting to communicate the turmoil of the Civil Rights era and the power of the Reverend Dr. King, powerfully played by David Oyelowo. Selma is absorbing, measured, and eloquent, much like the man at its center. Wow, it's been a long time, even for me. I just started a second gig which is keeping me away from these pages more than I'd like, but hopefully this will be the first of a number of posts that will appear here with more regularity. Anyway, here are some Blu-rays I've been watching while I diligently fulfill some of my end-of-year critic vote duties. Except for Nightbreed's, all of these entries sport actual screen captures by moi.